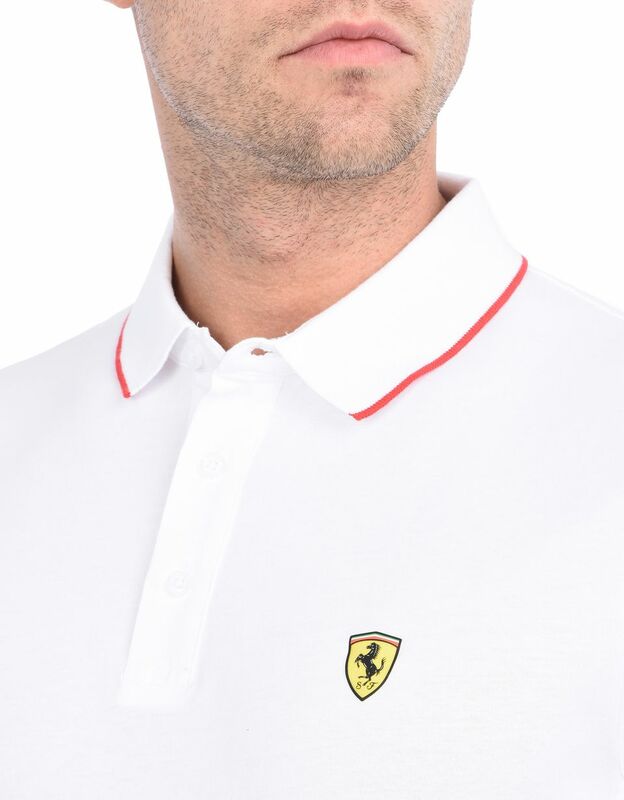 The Scuderia Ferrari polo shirt, made of 100% cotton, is a high quality piece, designed for fans to wear their passion. 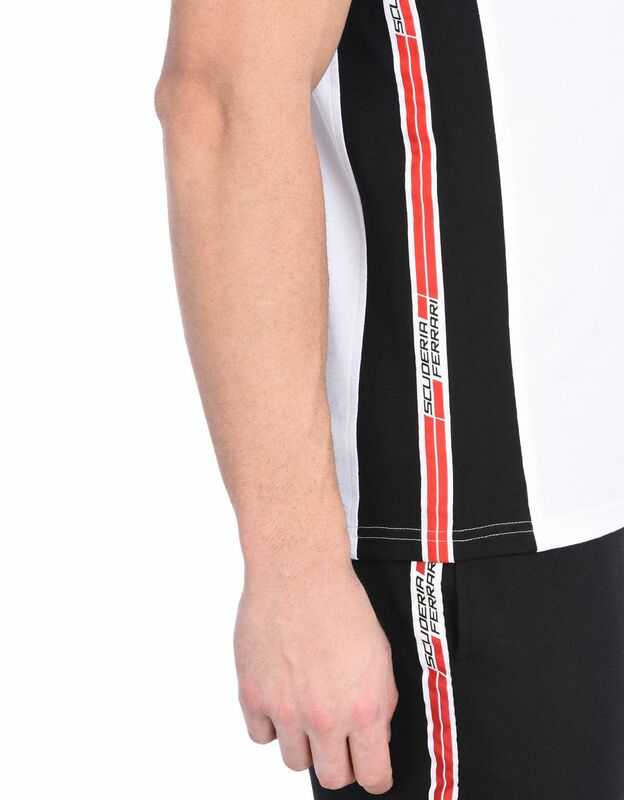 Technique and ingenuity. 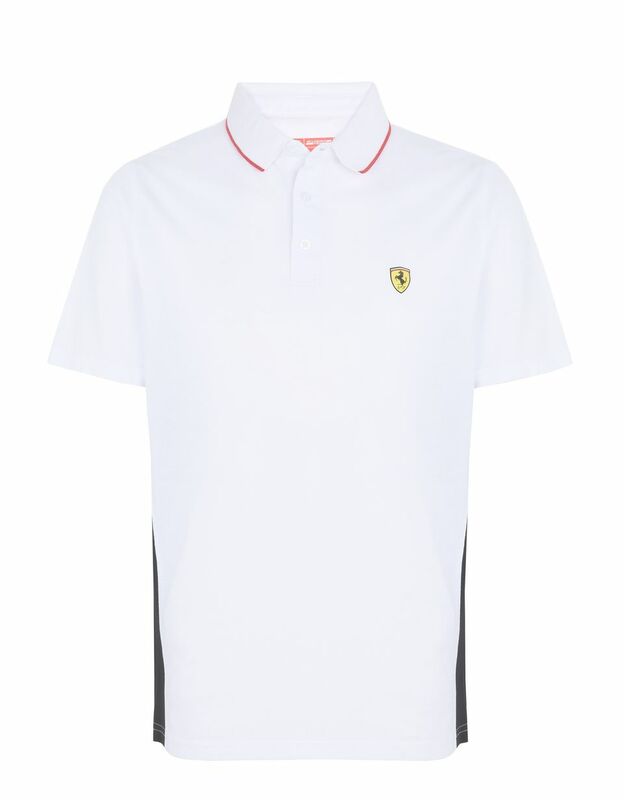 These are the essential qualities of a great team as well as all the Scuderia Ferrari clothing pieces. 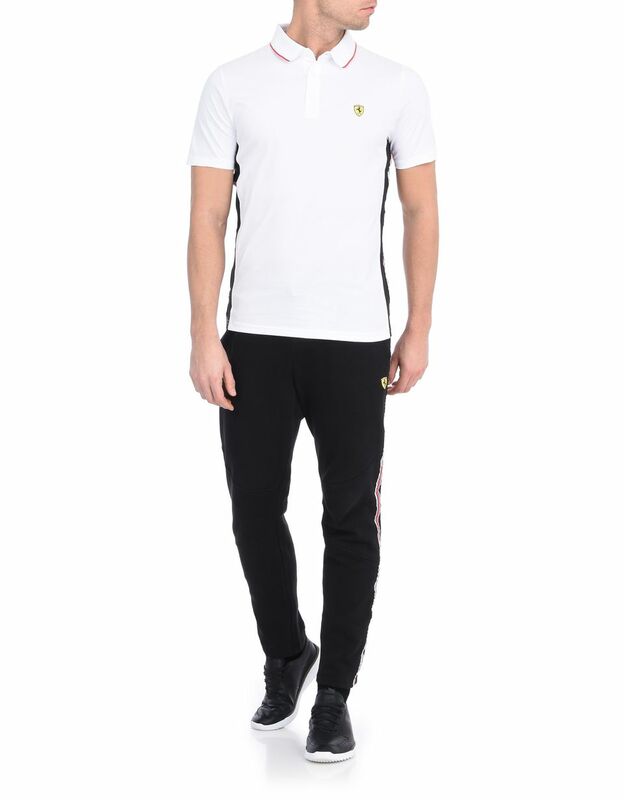 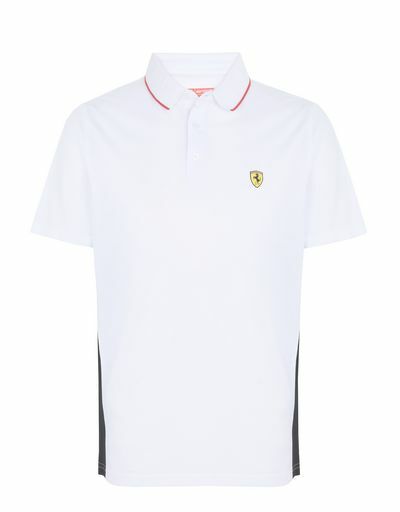 This men's polo shirt focuses completely on the quality of the materials and the Scuderia Ferrari Icon Tape that runs along the sides, from the seams of the sleeves to the edge . 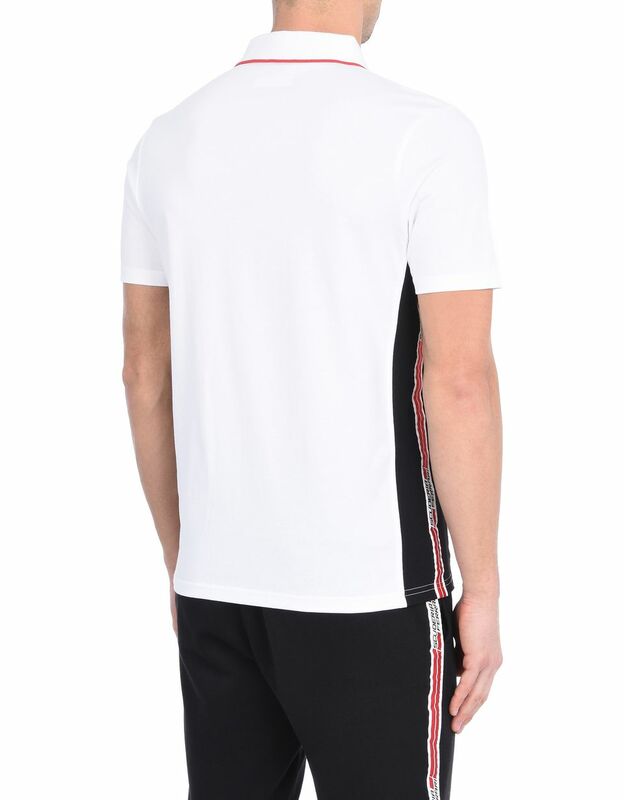 The red and white Icon Tape, made of jacquard fabric, is bordered by a contrasting black with the same colors featured along the edge of the three-button collar. 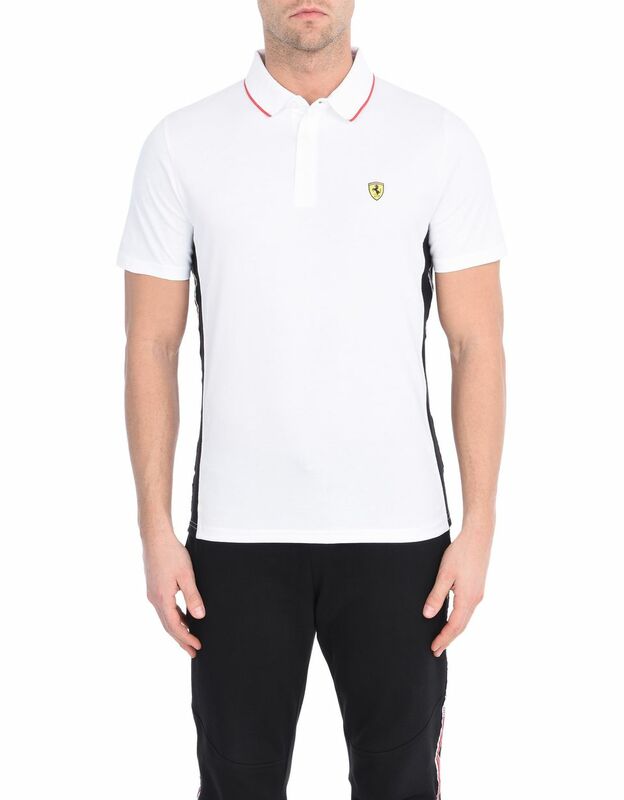 This Scuderia Ferrari polo shirt includes the yellow Shield on the left breast, over the heart.